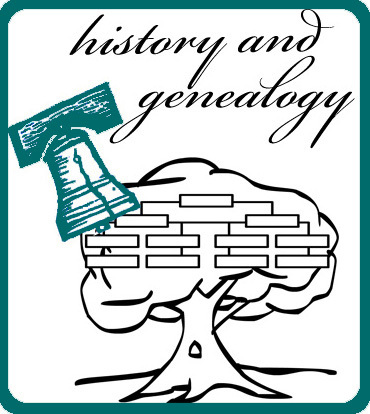 and programs and information to help with family genealogy. Ancestry Library Edition: ProQuest has partnered with Ancestry.com to create Ancestry Library Edition, which is similar (but not identical) to the consumer version. Ancestry Library Edition is a research tool offering comprehensive international genealogical information, with more than 5 billion names in thousands of collections. Access to this resource is granted on-site only to library computers and on personal devices connected to the library wifi. Sponsored by the Friends of the Burke County Public Library and the NC Room. NewsBank News Herald Collection: Search over 10 years of Morganton history with The News Herald Collection, from 2008 to today. Explore current and archived issues of The News Herald with full-text articles from 2008-2018 and full-color newspaper pages beginning in 2019. Access is granted to on-site users and remote users with a valid library card. The News Herald and additional early newspapers of Burke County, going back to 1876, are available on microfilm in the NC Room. Early area newspapers from 1876 to 1924 are also searchable online through NC Live with the Historic North Carolina Digital Newspaper Collection and are accessible with your valid NC library card. For more information about these resources, call 828-764-9266. Authorized users are licensed to use the Products solely for access, search, retrieval, viewing, printing, and downloading for non-commercial academic, educational and research purposes. Printing and downloading are limited to insubstantial portions of the data, for temporary storage. All other use is prohibited. The removal or altering of any copyright or other notices within the Product or using any portion of Product for purposes of manual, automated or other machine-assisted indexing or classification of other publications is prohibited. The transmission of Content, including but not limited to by way of email, facsimile or other electronic means is prohibited unless transmission is between Authorized Users. Users may not modify, publish, transmit, display, participate in the transfer or sale of, create derivative works based on, or in any other way exploit any of the Content in whole or in part without the prior written consent of NewsBank and its respective content providers. Documenting the American South: A digital publishing initiative that provides Internet access to texts, images, and audio files related to southern history, literature, and culture, all available online. DocSouth includes books, diaries, posters, artifacts, letters, oral history interviews, and songs. Brought to you by the University Library of the University of North Carolina at Chapel Hill. Digital NC: Explore the history and culture of North Carolina through original materials from cultural heritage repositories across the state. Includes Primary Documents, Photographs, and lots of other great information. Brought to you by North Carolina ECHO. Picture Burke: A growing collection of online photos, with information, about Burke County. Find People, Places, and Events from our local past!